The venue for this styled shoot was Axnoller House. It is set in 100 acres of beautiful countryside and only a few miles from the coast. It is a completely private and luxurious venue – perfect if you’re looking for exclusivity for your Dorset wedding day. See Digital Bohemia Wedding Videography’s footage of the styled shoot HERE! Axnoller is decorated with an eclectic mix of the contemporary and antique. A truly stunning wedding venue that is well worth a visit for any couples looking to get married in Dorset. 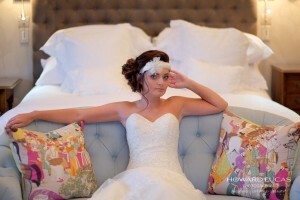 The styled shoot was photographed by Howard Lucas – Photographer and Peppermint Love Photography. 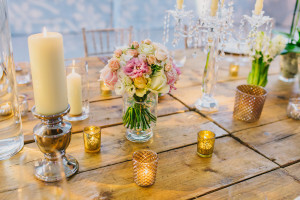 The group of wedding suppliers involved in planning the styled shoot had discussed ideas and themes and based on Axnoller, the Dorset wedding venue, created ‘Ballet in a Barn’. Lots of tulle , high buns and glamour with a barn and flowers. 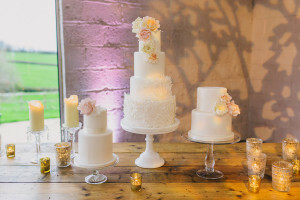 They paired classic neutrals, blush and peach with flower-heavy designs, professional lighting and hundreds of candles! 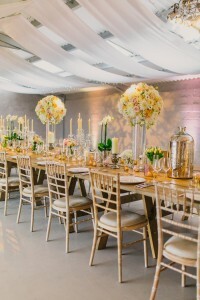 In a big space, good lighting is essential for creating atmosphere and really brings the larger floral arrangements to life. The models were dressed in tactile, floaty gowns (lots of tulle!) from Wedding Time Bridal Salon, so their flowers by Jennifer Poynter Flowers, and accessories were chosen to give a feminine ballerina style. Foliage was used for some of the bouquets and flowers in the hair, to loosen the look and make it more wearable and current for today’s trends. 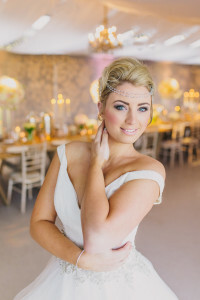 The hair and make-up for the styled shoot was designed by Amazing Face Bridal Hair and Makeup. South Coast Events specialise in event management. We organise The Dorset Wedding Festival, The Hampshire Wedding Festival, The Dorset Wedding Supplier Awards and The Hampshire Wedding Awards.